About | Welcome to Peak Performance! The story of Peak Performance Chiropractic begins with Dr. Nate’s father, Dr. Milton Steele. Dr. Milton began to practice NUCCA back in 1982 but began his chiropractic career using a more traditional full-spine technique in 1969. Dr. Milton became interested in NUCCA through his wife, Dr. Nate’s mother, Patty Steele. Patty was having increasing pain and stress throughout her mid- and lower-back. In fact, she was being adjusted twice a week at times just to try and keep her out of pain. Dr. Milton had always believed that chiropractic adjustments should eventually bring the spine to reasonable stability. This was not happening for Patty. Dr. Steele knew of a chiropractor in Vancouver, British Columbia, who was a NUCCA doctor, Dr. Albert Berti. At the urging of some colleagues and out of frustration with Patty’s situation, Dr. Milton took Patty to Vancouver to try this new technique, NUCCA. After Patty’s first adjustment, she was free of spinal pain within a couple of days. She did not need another adjustment for a whole month. WOW! From one or two adjustments each week to one per month and no pain – both Dr. Milton and Patty were impressed! Because of these fantastic results, Dr. Milton began to see Dr. Berti as a patient himself so that he could learn more about this “NUCCA stuff.” Dr. Berti invited Dr. Milton to the upcoming NUCCA semi-annual conference. Dr. Milton attended with pages of questions and came away with very sound logical answers. By this time, Dr. Milton was feeling a new sense of health and well-being due to the NUCCA adjustments he was receiving from Dr. Berti. Dr. Milton determined to learn the NUCCA technique for himself and began using it exclusively in his practice in 1982. Dr. Nate Steele joined his father as a NUCCA chiropractor after graduating from Palmer College of Chiropractic in 1999. At this time, the practice officially took the name Peak Performance Chiropractic. 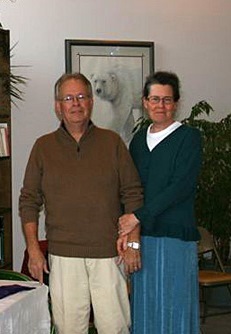 Dr. Nate and Dr. Milton worked together as partners until Dr. Milton passed away in 2012. Dr. Nate continues the legacy and carries forward the values instilled in him by his father: quality, affordable, attentive care.